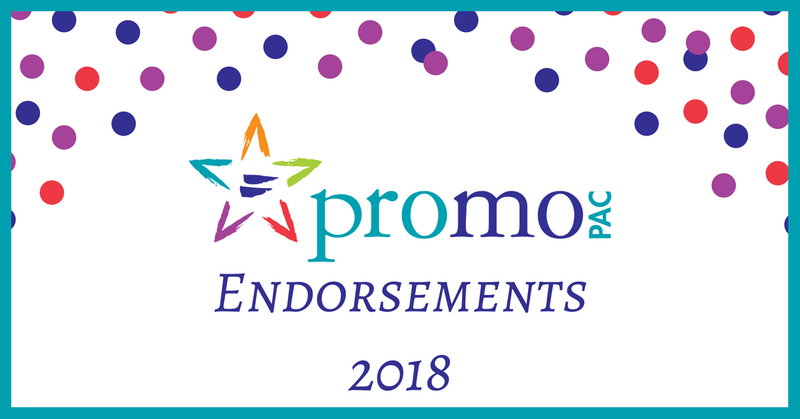 PROMO PAC endorsements of LGBTQ and ally candidates are ongoing throughout the entire election cycle. If you don’t see your favorite candidate or your home district on this list, check back closer to the election or email us at PROMOpac@PROMOonline.org. You can also reach out to your favorite candidate and encourage them to return their PROMO PAC Candidate Survey. PROMO PAC endorsements are based on a number of factors, beginning with candidate responses to the PROMO PAC Candidate Survey. Councilwoman Jolie Justus – PROMO has a long history working with and alongside Councilwoman Justus, especially when she was a Missouri Senator. Councilwoman Justus played a significant role in 2013 when the Missouri Nondiscrimination Act (MONA) took its biggest step in Missouri history. Jolie’s ability to build relationships with her colleagues from diverse backgrounds and her willingness to share her own experience as an openly LGBTQ Senator helped us to pass MONA out of the Senate with overwhelming bipartisan support. Councilwoman Jolie Justus shares PROMO’s values of collaboration, authenticity, inclusion, and impact. She is the candidate who will continue the momentum and progress in Kansas City for the entire city, including the LGBTQ community, ensuring Kansas City is a great place to live, work, and succeed.